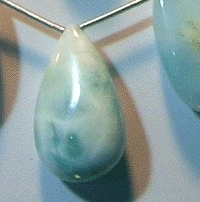 Also recognized as Dolphin stone, Larimar is one of the rarest gemstones extracted in Dominican Republic of Caribbean Island. 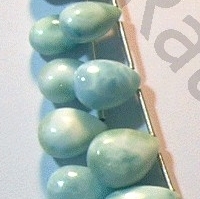 The hardness of stone Mohs scale measures between 5 to 7 scale. 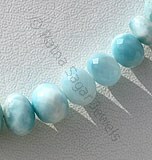 It is available in variety of colors varying from white to green blue to dark blue. 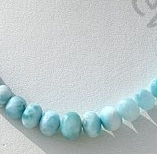 The history of Larimar gemstone beads dates back to 1916 when Father Miguel Domingo Fuertes Loren discovered it for first time and requested the then officials to conduct extensive research to extract the gemstone, but his request was rejected by the officials. 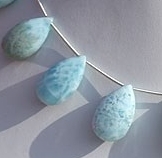 It was after that in 1974 when the local resident of Dominican Mr. Miguel Mendez and Normal Rilling founded these rocks on the shores of Barahona, who named it as Larimar on the name of Mendezs daughter Larissa, in Spanish referring to sea. 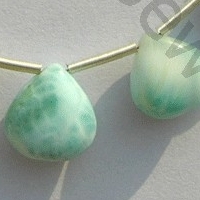 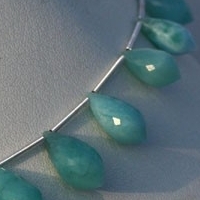 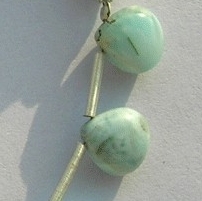 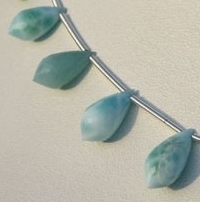 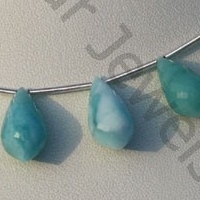 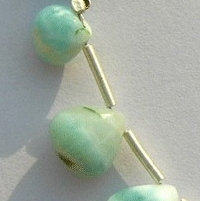 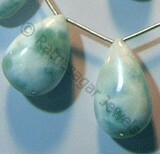 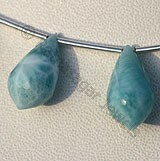 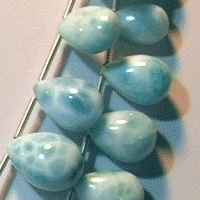 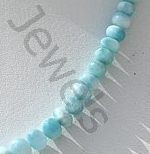 Apart from being used as unique jewelry item larimar is also blessed with various healing powers it is believed that use of the gemstone is helpful in treatment of throat problems, removing blockages of brain and chest. 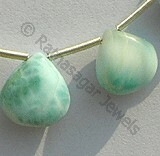 Besides this it is also helpful for arthritis patients. 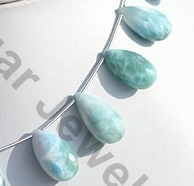 Larimar Gemstone is a variety of pectolite mineral, possess property of opaque with silky luster and are available in exquisite sea-blue color with smooth polish, Flat Pear shape. 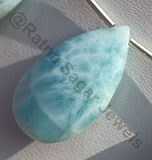 Larimar Gemstone is a variety of pectolite mineral, possess property of opaque with silky luster and are available in exquisite sea-blue color with smooth polish, Heart shape. 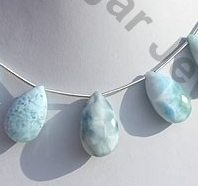 Larimar Gemstone is a variety of pectolite mineral, possess property of opaque with silky luster and are available in exquisite sea-blue color with micro flower cut, Flat Pear shape.